Service technicians are government licensed by Dept. Human Services and Cert III Asset Maintenance Pest Management. Compliance to AS 3660.1-2014 and AS 3660.2-2017. Please note in AS.3660.1-2104 there is no Part A and Part B. Only certificates of application as per area installed. HomeGuard is Green Living (Master Builders), GreenSmart (HIA) approved, Ecospecified and full CodeMark certification. 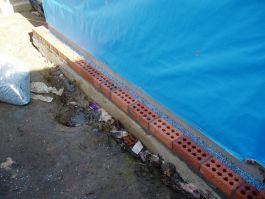 Termite Membrane Installations – HomeGuard. The termite management industry is guided by the Australian Standards AS. 3660 1-2014 New Constructions and AS. 3660.2-2017 Existing Buildings. 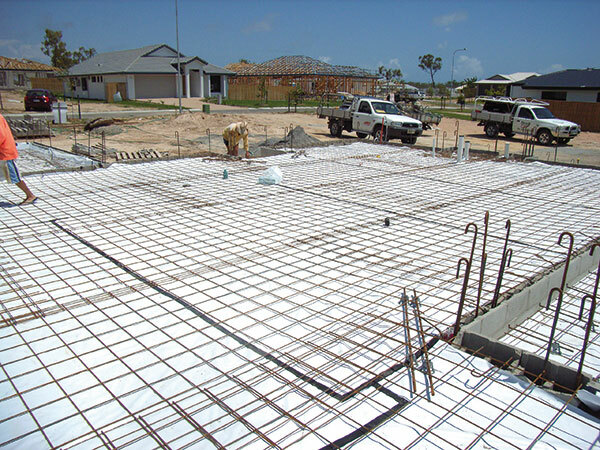 The Building Code Australia calls up the Australian Standards as a minimum treatment guideline. Councils in designated termite areas require termite treatment and certification to these Australian Standards. 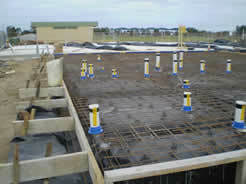 The Standards set out requirements for the design and construction of subterranean termite management systems for new and existing buildings. 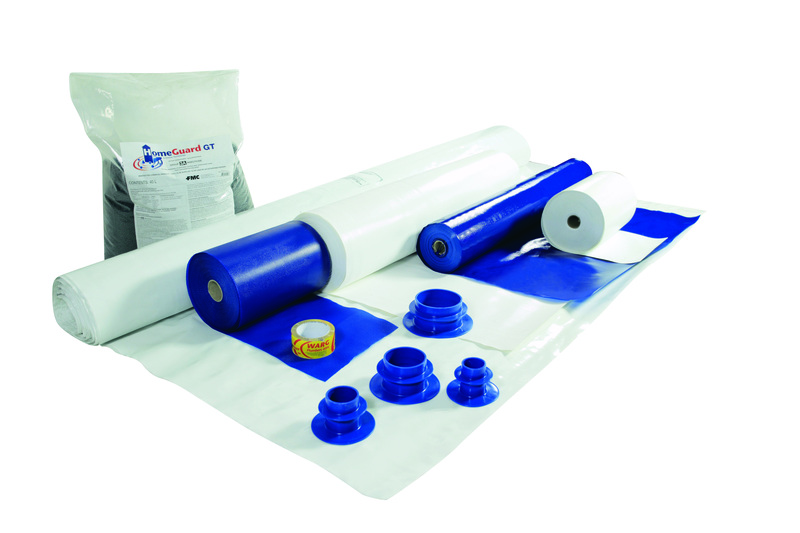 They include both physical termite membranes (HomeGuard PB, HomeGuard TMB, HomeGuard Termiflex and HomeGuard Sleeves/Collars.) 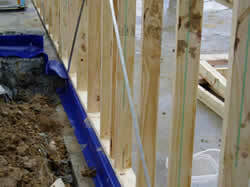 and chemical termite barriers (Biflex etc.). Exopest offers a range of termite treatments for new and existing buildings. These include physical termite membranes and chemical soil treatments. Physical membranes are permanent (50 yrs), while chemical soil treatments have a finite lifespan – up to 10 yrs soil dependent. Both have their place in the tools of termite management, but some are more suited to one project than another. Chemical soil treatments (spraying) are usually referred to as chemical barriers because they stop or impede termites coming up through the soil and entering the structure. Some chemical treatments (Premise 200SC, Altriset or Termidor) allow termites to pass through the treated soil zone and pick up the chemical whilst others deter or repel foraging termites (Biflex). Physical termite membranes are incorporated in the structure of the building and force termites out into the open, where early detection is possible. Termite membranes do not stop termite entry into the building – just force them out into the open. Ant caps were first designed as termite barriers, but termites simply build mud tunnels over and around the ant cap. First generation physical barriers include Termimesh and Granitgard, and then came a physical membrane (Kordon) incorporating an insecticide Deltamethrin. 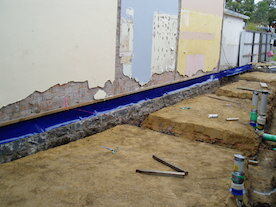 The latest physical termite membrane in Australia is HomeGuard made by FMC in Queensland. HomeGuard stops repels and kills termites. 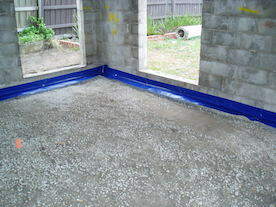 It is a single sheet polymer designed to last the life of the building. Biflex (Bifenthrin, a synthetic pyrethroid) is incorporated in the plastic polymer matrix of all three forms. As a polymer the Biflex is locked in for the life of the product and does not leach out into the environment. 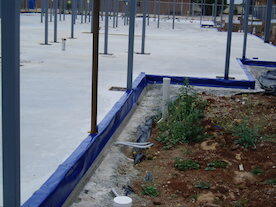 It has APVMA approval, BCA and CSIRO certification. HomeGuard is Australian made and backed by the FMC 50 yr warranty – Conditions apply. Call 1800 686 299 for advice or costings.